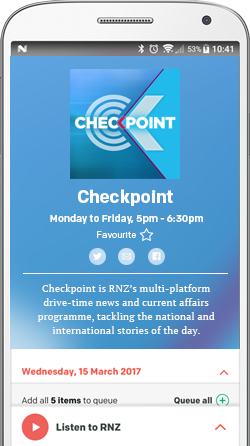 RNZ’s music station started sounding a little different from Monday 26th February. RNZ Concert will remain New Zealand's champion of classical, jazz and world music, but with a mix of new and familiar voices and programmes. From now on there will be a gradual evolution of the sound of the station as our programmes, presenters, and audiences grow together. There will also be a renewed focus on the unique work we do in providing live music performances, and our storytelling about the New Zealand music and arts communities, both on-air and on-line. 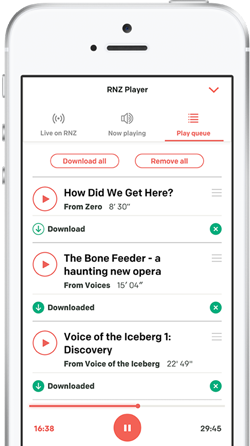 Find out more about what we’re working on at RNZ Concert, and why. Cynthia brings a host of experience as a presenter and writer from her work with RNZ National (including covering for newsreader Nicola Wright), RNZ Concert, and RTE Lyric FM in Ireland. Along the way she has developed skills in writing, production, and publishing, and proven herself a gifted and passionate communicator with a wicked sense of humour. Nick Tipping has multiple degrees covering Musicology, Jazz Performance, and Linguistics. He’s led the New Zealand School of Music Jazz programme, and comes to us from a role at the NZSO. Nick has a love of connecting people with music, whether it’s in the classroom, through social media, or on-air. Nick will also build on his successful RNZ jazz programme, Inside Out. David will be a familiar voice to RNZ Concert listeners, as he shifts gears to move from afternoon tea to lunchtime. David and the Upbeat team stretch out to three hours, offering a topical and informative take on music, with stories and interviews about music and the arts from a New Zealand perspective featured at 1pm. Rick is giving away the early starts to dedicate his experience and style to creating a new afternoon drive programme: Classical Connections. He’ll present a wide variety of musical favourites, highlights from the home-grown NZ repertoire, and a few surprises thrown in. A salve for anyone stuck in traffic and the perfect atmosphere for cocktail hour. This popular and internationally syndicated programme comes to us from the creative talents at WFMT in Chicago. Renaissance man Bill McGlaughlin explores a weekly musical theme. Entertaining and informative with lots of music! Clarissa brings her stage and presentation experience to a revitalised Music Alive programme, showcasing the best live music performances from New Zealand and the world. From 10 - 11 pm enjoy encore outings for some of our best-loved weekend programmes, including The Chart and Inside Out, as well as a new show, Eva Radich’s Pick and Mix. At 11 pm hear the soothing sounds of Day’s End, followed at midnight by Music Through The Night, your aural pathway through the darkest hours, until 6am. Saturday on RNZ Concert retains many current audience favourites, and adds a few new treats. Presented by a variety of RNZ Concert’s familiar voices, Classic Morning continues its brand of accessible music to ease you into your weekend. Saturday Brunch offers a wholesome blend of complete performances of classic masterpieces balanced with light-hearted fare, from Mozart to Gershwin, presented by a variety of RNZ Concert’s familiar voices. With weekly reviews, favourite recordings, and some insider information, David gives sound advice. Classic recordings and modern masterpieces from the world of jazz. Sound Lounge moves from Friday to Saturday night, and has additional time to profile avant garde and atmospheric soundscapes, up-to-the-minute contemporary, early 20th Century and a touch of art pop. Sunday also retains many audience favourites, and we’ve added some new programme we hope you will enjoy. A weekly selection of traditional and modern hymns. Music to mirror the well-earned day of rest. Reflective and calming. Former Upbeat host Eva Radich has taken a new editorial role at RNZ Concert, but she’s keeping her hand in the lolly jar with this new music show featuring a selection of performers and genres. Performances by great artists from the mono era, including the latest remastered recordings. Highlights from Chamber Music series around the world. Intimate performances by the greatest chamber musicians. Shining a light on music makers. A weekly focus on great composers and musicians in the news and on recording. William draws on his encyclopaedic knowledge and gargantuan record collection to offer insights and surprising links between rock, pop, country, folk and beyond. The best live opera performances from around the world, including our annual season from the Metropolitan Opera House, New York. Explore ambient and drone music - handpicked from the very latest, to 20th century seminal masterpieces and everything in between.